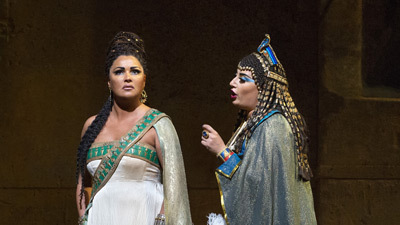 Legendary soprano Ljuba Welitsch brings her incandescent temperament and soaring voice to the title role of Verdi’s drama set in ancient Egypt. 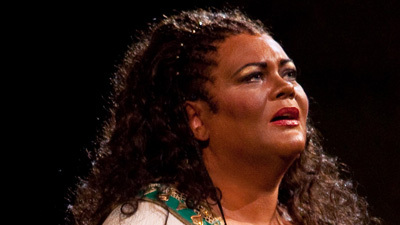 Ramon Vinay gives an impassioned performance as Radamès, Aida’s warrior lover. 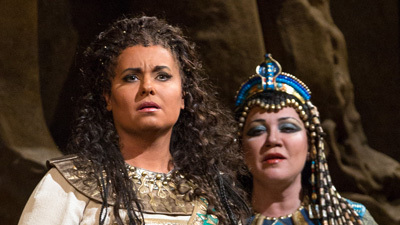 Margaret Harshaw is Amneris, the Pharaoh’s daughter and Aida’s rival. A young Robert Merrill as Amonasro, the Ethiopian king and Aida’s father, and the magisterial Jerome Hines as the high priest Ramfis complete the cast.